Keeping your eyebrows in beautiful condition has never been easy. Plucking, threading, and pencilling are just some of the things we do in the quest for perfect brows. Thanks to a new beauty technique called microblading, it’s now easier than ever to maintain the eyebrows you want. Our mission is to bring the joy of microblading to a new audience. You might like your brows sleek and thin or bold yet refined. No matter what, the microblade process gives you a long-lasting and beautiful pair. There are many ways you can choose to change your eyebrows, so why should you select microblading? One if its main advantages is the incredibly realistic results that it delivers. The process delivers natural strokes of colour to the brows. So they don’t look flat or unrealistic. They allow you to change the shape of your eyebrows and give them more definition. You can add colour or density and replace lost eyebrows. The process is semi-permanent and won’t smudge like normal makeup can. Eyebrow tinting and brow pencils are a thing of the past once you have microblading performed. Microblading eyebrows works by using a handheld tool, a microblade. It gives you semi-permanent eyebrows. The microblade is used to put the micropigmentation under the skin. It creates strokes for natural-looking eyebrows. This process is carried out entirely by hand. 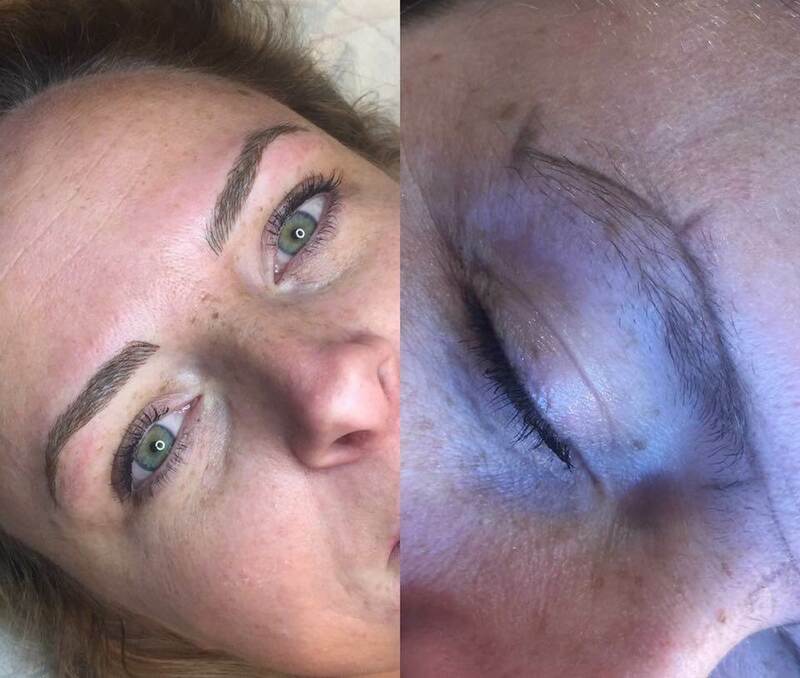 It allows for much more natural results than other semi-permanent makeup techniques. The process is slower than using a machine, but it’s worth waiting for the results. Microblading can last between 18 and 36 months. Returning to Wicked Hair & Beauty for a touch up will keep them in pristine condition. It is sometimes called eyebrow embroidery because each line is “threaded” under the skin. Microblading has advantage overs getting tattoo eyebrows. There’s no need to wait for them to heal like you should if you get tattoos. They are also low-maintenance, making them easier to look after than eyebrow extensions. Get in touch with Wicked Hair & Beauty to ask about microblading and discuss if it’s right for you. When you come in for your microblading appointment, it will take a couple of hours. Our professional technicians always take the time first to draw on your eyebrows with pencil before they begin. This step is essential and something that a qualified technician would never skip. When you are happy with the way they look, the technician can start the micro pigmentation process. We will ensure that you are comfortable and relaxed before you get started. If you want to know more, check out our page on how microblading is performed to read about the process. Call or email to book an appointment with Wicked Hair & Beauty and change how you care for your eyebrows forever. Our professional and experienced technicians are ready to give you the eyebrows you deserve. They are experts in the process and will put you at ease to make getting your new eyebrows a comfortable experience. We are located in a Grade 2 Listed Building, which is only 2 minutes away from Southend Airport. The salon is in a prime position with good parking and decent bus and rail links, you will never have any difficulty making your way to us.